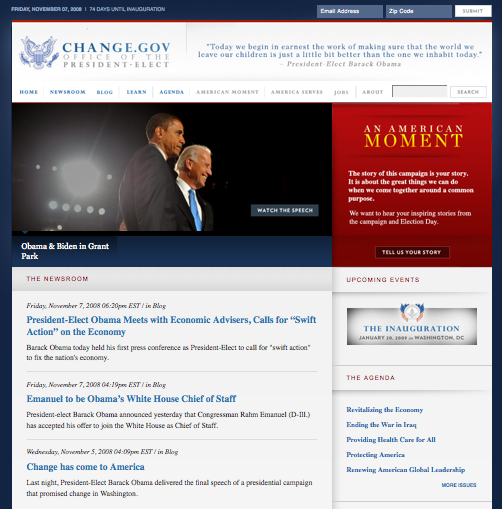 This was never intended to be a Barack Obama fan-blog (there are certainly enough of them already), but President Elect Obama has, less than 24 hours after claiming victory, proven once again that he understands the power of design and technology with a website worthy of blogging. Needs some work, I know, but it’s a start. I spent all morning yesterday registering new voters, and even after 4 hours of reviewing the same form, I still didn’t completely understand it. Way to go, US Government. 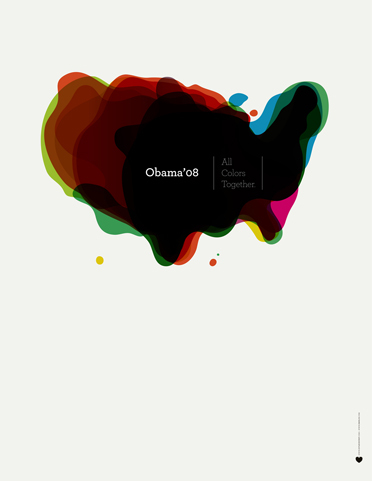 Should’ve known that Obama and his (brilliant) designers had a solution. Vote for Change, an incredibly intuitive, simple and beautiful page, makes it easy to register to vote, request an absentee ballot, change your address, or check the status of an earlier registration.